If life is indeed a banquet, then Lee Miller is Top Chef. Miller was a fashion model, the muse and student of Man Ray, a photographer and war correspondent for Vogue, photographing the London Blitz and the amazing journey of American troops from Paris to Dachau. 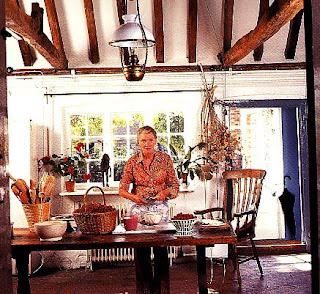 Later, she married surrealist painter, Roland Penrose, and indeed became a top chef. She grew increasingly tired of hearing Europeans disparage American cuisine. Rather than verbally defend the garish taste of Americans, Miller did what any good surrealist might do, she embraced the worst of the worst and transformed it into something magical. Dissolve marshmallows in half the Coca-Cola over low heat. Add remaining cola, lemon juice, and salt. Whip together: freeze in ice cube tray. When frozen but still mushy, remove, add rum and cream, and whip again. Refreeze until solid, whipping once again after half an hour for a smooth ice cream. 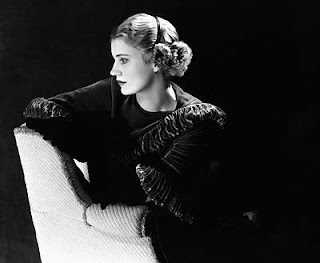 Lee Miller's life is truly fascinating and her biography was written by one of the best writers around, Carolyn Burke. So far Burke has written about two of my most favorite people, Lee Miller and Mina Loy. 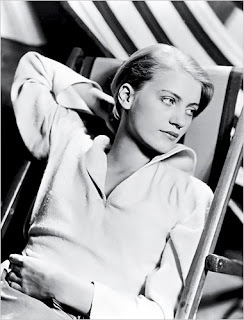 If you want to know the whole scoop on Miller, pick up Burke's biography, Lee Miller: A Life. There are numerous books featuring her photography, but I am partial to The Lives of Lee Miller written by her son, Antony Penrose. Shouldn't it be Myrna Loy? No, actually it's modernist poet, Mina Loy.